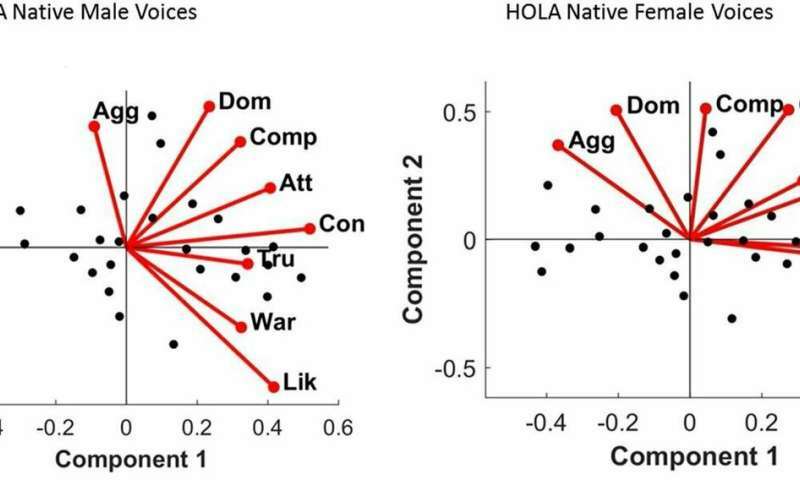 A paper published by Cristina Baus and Albert Costa, UPF researchers at the Center for Cognition and Brain (CBC), in collaboration with researchers from the Université Aix-Marseille and the University of Glasgow, has shown that listeners across languages form very rapid personality impressions from the voice, and this is not modulated by the language of the listener, native or foreign. Ratings of perceived personality were highly consistent among listeners regardless of the language in which voices were evaluated. That is, listeners agree in their judgments of whether a given voice sounds aggressive or confident. This suggests that there must be certain invariant properties of voice that indicate how trustworthy or competent a person is. This is in line with the idea that we can train ourselves to sound more or less competent, more or less dominant, depending on the context (e.g., job interviews). After hearing just one word, listeners rapidly create a social voice space, where voices are grouped according to two main dimensions, one emphasizing traits of valence (trustworthiness, warmth) and the other emphasizing strength (dominance, aggressiveness). These two personality dimensions are extremely relevant, and respond to evolutionary pressures. Obtaining information about the intent of others helps individuals to appropriately evaluate whether to approach or to avoid interaction with them. The ability to form personality impressions is independent of the linguistic ability of listeners. Voices were grouped according to valence and strength irrespective of the language of the speaker, native or foreign. This result refutes old reports arguing that listeners tend to evaluate as more intelligent, kind, or competent voices from native rather than from foreign language voices. Listeners across languages do not pay attention to the same voice properties (e.g., pitch) when evaluating personality traits. 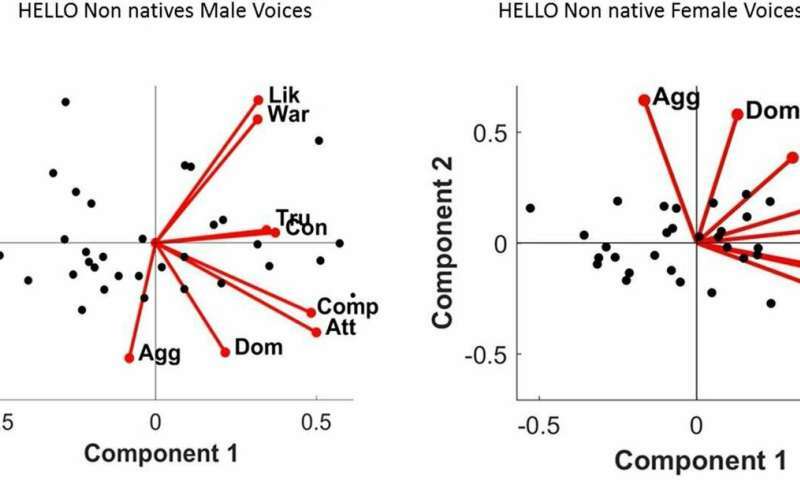 In contrast to previous results relating low-pitch voices with dominance (especially for males), Spanish listeners considered high-pitch voices as more dominant than low-pitch ones.